Ryan Lingo has a goal, but he isn’t waiting for that goal to materialize. He is going after it, one volunteer opportunity at a time. Ryan’s goal is this: he wants to work for NASA when he graduates from college. So right now, whether it’s serving as an Advocate at the annual Aerospace Day Conference (February 2018) or being a Student Coordinator at NASA’s International Space Station Downlink Event (July 2018), Ryan will be there. “Being a part of an event like this is truly a privilege, and one of the primary reasons why I want to work for NASA once I graduate from college.” The NASA Langley Research Center’s International Space Station (ISS) Downlink Event, held at the Virginia Air & Space Museum, was an opportunity for students to speak with an astronaut onboard the ISS in real time through a video chat. For this event astronaut Alex Gerst from the European Space Agency (ESA) spoke to the students and answered questions. 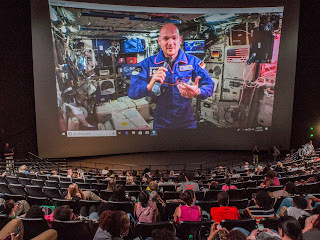 After the downlink, students had the opportunity to explore the museum, meet with First Lady of Virginia Pamela Northam, and speak with NASA experts about the ISS and NASA’s role in future space exploration. Ryan’s roll at this event was to coordinate the groups of students, getting their lunches and moving them from their time with Gerst to the museum and answering their questions about NASA and space. He also helped with the NASA legislative delegation. 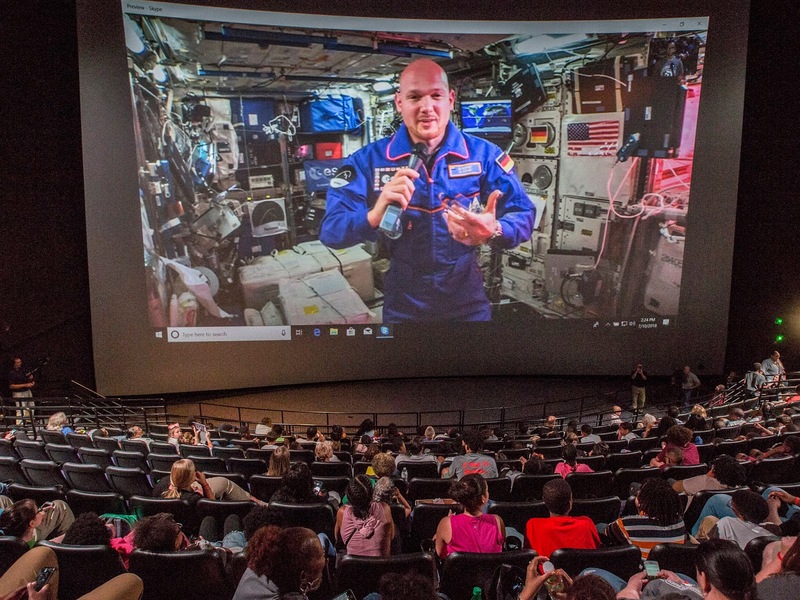 “Questions from the students,” Ryan said, “ranged from “are you an astronaut?” to “how do telescopes work, and how far can you see into space with one?” Every event is a learning experience. “The skills I have acquired through the Reynolds Honors program, such as communication and research skills, helped me be the best chaperone and mentor for all of the children I worked with.” Ryan also pointed out that had he not had the strong networking skills he honed by participating in the Honors program the NASA Education Specialists likely would not have chosen him to help with this event. Ryan, we are proud of your persistence and look forward to the day when you can reach your goal and maybe even reach outer space!